Many people want to increase their cyber security awareness, but are at a loss as to how or what to do about it. 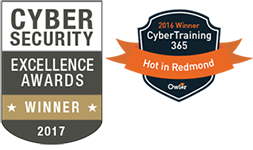 Our classes, at CyberTraining 365, have more of a technical bent toward very technical certifications, but it doesn’t require you to know how to code or perform penetration tests to have a strong understanding of how to protect your network and systems. Looking to increase your company’s cyber security awareness? Look no further! Read on here. You may find it surprising, but many people STILL use “password” as their password. Not only do people still use “password” or- the insignificantly better- “passw0rd”, they also use “123456”, “football” and a litany of other useless passwords. When building a password to remember, try to make an entire phrase. You can use a song lyric, favorite quote or dad joke, then dress it up with numbers, capitals and symbols. So, rather than “password” you could have “L0ck1tUpAndThr0wAwayTheK3y”. Much more effective. Also, use a password manager. There are many great options available for various budgets. PC Magazine suggests Dashlane 4 and LastPass 4.0 along with many others. A password manager helps you store, organize and encrypt your passwords. Depending on the tool, it will do a lot more than that as well. This tool will allow you to make a single, very strong password- to rule them all- while the tool protects the rest. Change is challenging for all of us. Whenever that Facebook update comes out, I never want to install it because I know I’ll have new features and formatting to struggle with. However, that update also comes with the latest security patches. It’s much easier to adjust to an updated interface than it is to deal with hackers getting all your personal information and passwords from your Facebook page. Don’t shy away from updates, you’ll be doing yourself a disservice. In fact, set up automatic updates! With 2016 having been deemed the “Year of Ransomware” by Symantec Corporation (and they weren’t the only ones), as well as Ransomware-as-a-Service becoming increasingly popular, we know that ransomware is on the rise. The best possible way to prevent/defend against ransomware is to back up all of your data, regularly. Utilize cloud based services such as Google Drive and OneDrive as well as a hard drive. Keep your cloud back-ups very regular (preferably daily) though, if you’re working on a program in the cloud, it should update and backup automatically. On top of this, add a weekly or biweekly hard drive back-up scheduled, as part of your weekly routine. This way, if you are unlucky enough to contract ransomware, you won’t have to pay or stress because even if they destroy your files, you’ll have them safe in the cloud and on a hard drive. Social Media is nearly inescapable today. The average American spends 4.7 hours a day on social media, on their mobile device, according to a report from Informate Mobile Intelligence. Even if you’re not required to do it for work, or are trying to create a professional, social media presence for other purposes, you probably use it to keep in touch with friends and family. This is why it is so important to use safe social media practices. The first step is a strong password and choosing two-factor authentication, if available. Next, make sure you don’t disclose too much information on your profile and posts. Hackers often use a tactic called social engineering to gain information or access about/to a target. This can come in many forms, but on social media is often seen with fake profiles of real people you know adding you, to that random girl from high school (whom you don’t remember, but you added anyway). It’s great that we can now utilize social media to share our businesses or personal lives with the world, however it’s important to keep in mind that you are often speaking to a wider audience than you realize. Most emails come with a spam filter, but sometimes it isn’t quite up-to-snuff. You may want to get a cloud-based subscription service, or software you can install, but either way a firewall and/or spam filter is a great way to get on top of your cyber-attack prevention. Restrict internet access to authorized sources and restrict internet accessible destinations. Also, get familiar with phishing emails. If you get an email, even seemingly from someone you know, that is riddled with spelling errors and includes a link or attachment, contact that person directly before clicking or downloading. This is all a great start for an individual’s cyber security practices. With all of this in mind and practice, you should be well protected against cyber-threats. Businesses face challenges which move beyond the individual such as a need to train, incentivize and test the effectiveness of their programs. I’ll be doing a follow up on this idea for businesses, so be sure to stay tuned! 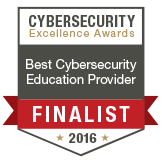 Looking for a well-rounded and cost effective way to deepen your cyber security awareness? We have recently launched a new academy just for you! 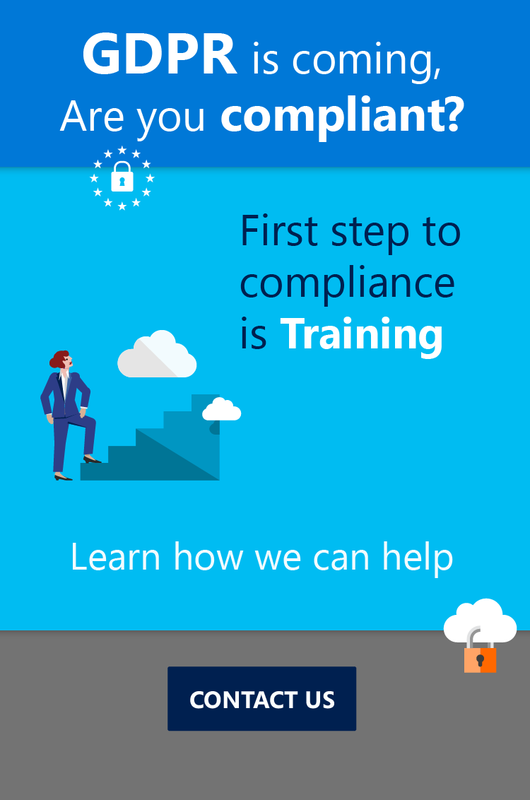 Check out this video and go to DataSecurity365.com to see what you need to know.